Where am I? > Home > News > Where is the world's safest city? Where is the world's safest city? Holidaymakers flock to Tokyo for its first-class shopping, bustling neon city centre and peaceful ancient shrines. But now it has another USP - it has just been named the world's safest city. The bustling Japanese capital saw off the rival claims of other contenders in an all-Asian top three, including next-placed Singapore, to top a league table compiled by the Economist. 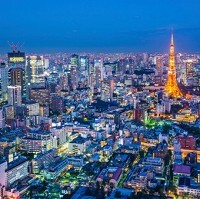 Tokyo-bound holidaymakers and residents alike benefit from the safest infrastructure, health, personal and digital security the world has to offer, according to the magazine's intelligence unit. This is despite the fact that, with a population of 38 million, it is the world's most populous metropolitan area. Knowing your destination is safe gives you peace of mind, but you should also arrange travel insurance. Where else can you feel really safe travelling abroad? Japan boasted a second city in the top 10 with Osaka, while Australia also had two cities placed in Sydney (sixth) and Melbourne (ninth). Sweden's Stockholm, Holland's Amsterdam and Switzerland's Zurich were placed fourth, fifth and seventh respectively. Toronto in Canada (eighth) and New York (10th) completed the top spots. Chicago and Los Angeles joined the Big Apple as US destinations in the top 20. New York and Los Angeles were the safest for digital security, while holidaymakers visiting Singapore could expect the best personal safety. Zurich had both the safest infrastructure and safest health security. How was the table arrived at? A total of 50 cities were analysed. The magazine's researchers looked at how efficient a destination's cyber security was, as well as examining ID theft prevalence and other digital security-related factors. They gauged health security metrically by a city dweller's typical life expectancy and by the number of beds available in hospitals in relation to the population.